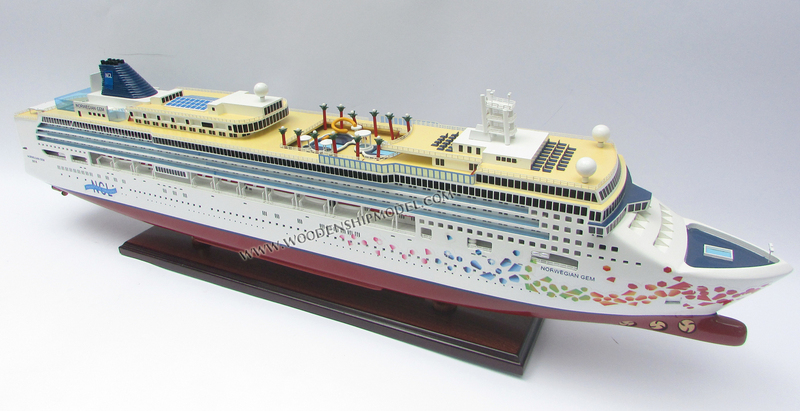 Norwegian Gem was the newest vessel in Norwegian Cruise Line's fleet until the debut of Norwegian Epic in June 2010. Construction began on 7 June 2006 at the Meyer Werft Shipyard of Papenburg, Germany. She was delivered to NCL on 1 October 2007. 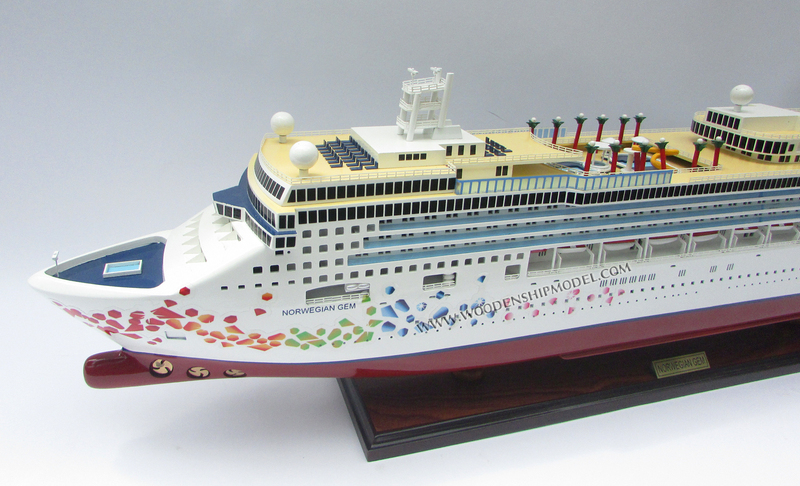 NCL promoted the launch of this ship via her own website, "Gem It Girl", which in addition to providing details about the ship, also prompted previous customers' of NCL to submit an entry to be chosen as her godmother. As with the rest of NCL's fleet, Norwegian Gem utilizes the "Freestyle" cruising concept, which allows guest to dine in any number of restaurants, in casual attire, at times of their own choosing. The Norwegian Gem also is one of the three cruises that has the Nickelodeon program. The Norwegian Jewel and Epic also have the same program. 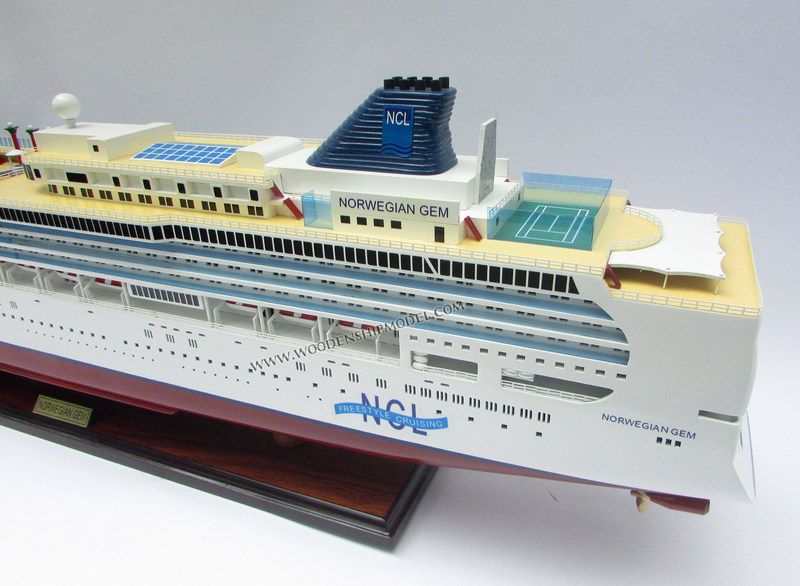 Norwegian Gem is the fourth of NCL's Jewel-class. She was preceded by Norwegian Jewel in 2005, and both Norwegian Jade (originally Pride of Hawaii) and Norwegian Pearl in 2006. Each ship has unique amenities, but has a similar exterior and interior design. 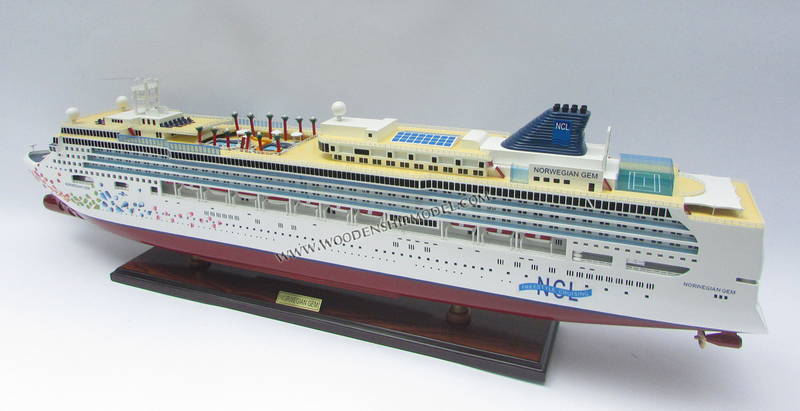 Norwegian Gem has a similar exterior appearance to NCL's Dawn-class ships; Norwegian Star, which entered service in 2001, and Norwegian Dawn, which entered service in 2002. The interior design and amenities, however, are significantly different and merit Norwegian Gem a Jewel-class designation. Norwegian Gem spent her initial season at her home port in Manhattan, sailing a variety of cruises to the Bahamas, Florida, and the Southern Caribbean. 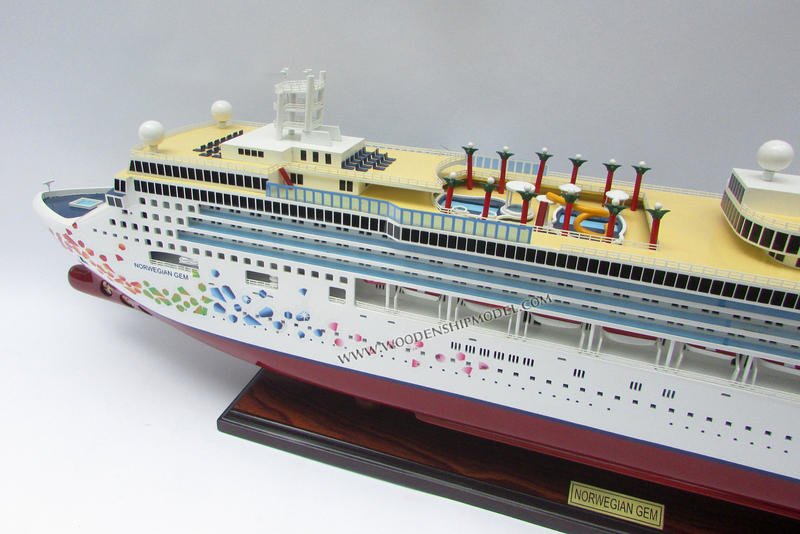 For Summer 2008 the ship was based in Barcelona, Spain operating 7-night cruises to various Mediterranean destinations. During winter 2009, the vessel was doing a series of 7-day Bahamas/Florida cruises, and then consecutive 1-night cruises. From April 2011 to October 2011, the ship will begin sailing on Sundays on a 7-day cruise from New York City to Bermuda service to replace the slightly smaller Norwegian Dawn. The Norwegian Gem will do 9 Day Eastern Caribbean cruise & a few 10 Day Canada/New England cruise to Quebec in New York. 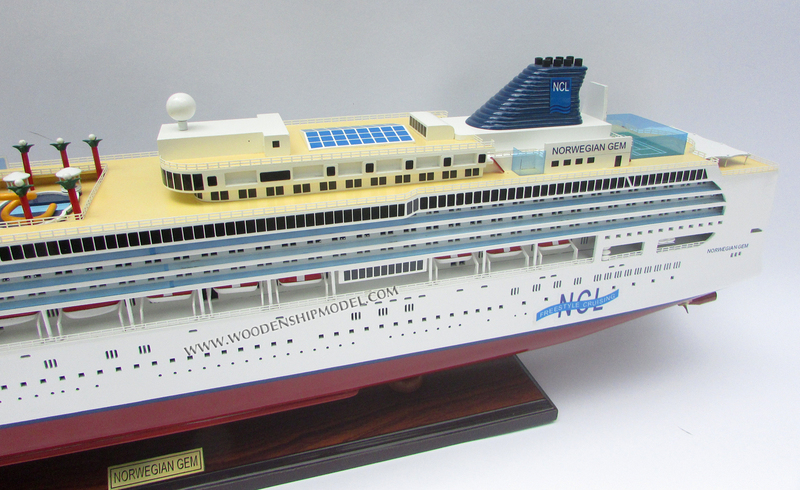 Beginning in 2012, the Norwegian Star will replace her Bermuda sailings.